Washington Archives - Red Truck Fly Fishing Co. Fly Fishing the Upper Columbia. The best kept secret in the lower 48! For over the past 18 years, Jack Mitchell’s The Evening Hatch has been investigating (that means fishing) the northeast corner of Washington. 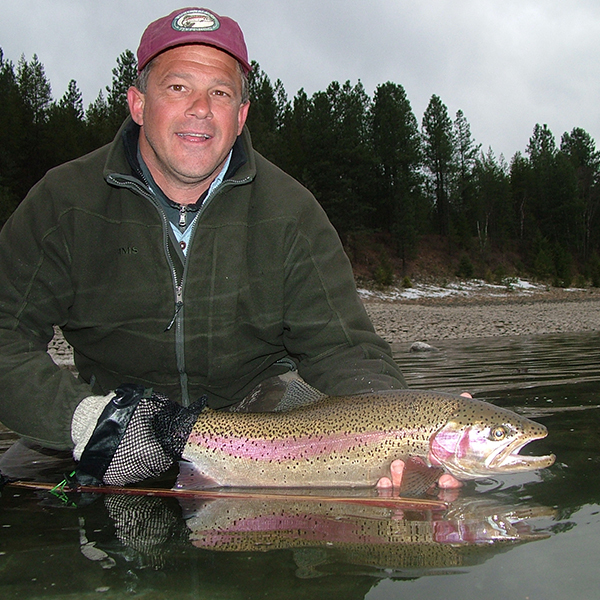 They have dialed in guiding the Upper Columbia which hosts an abundance of wild Redband Rainbow trout. 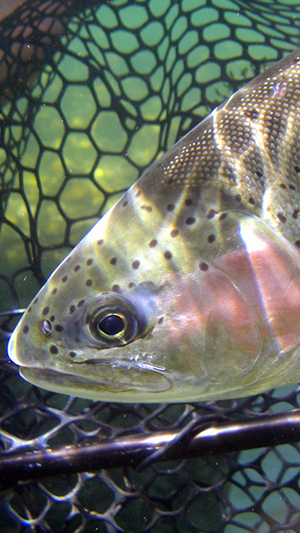 The average rainbow trout is approximately 18-19 inches/ 2.5 to 3 pounds! Cutthroats are also residents of this system and can be caught as well. With incredible seasonal hatches and water temps that remain between 40-65 degrees for the majority of the year this is without a doubt one of the best fisheries around. While the hatches are not guaranteed day in and day out, the trout are at times incredibly tuned into the surface which makes for great action with dry flies. Tactics vary from the late winter/ early spring fishing using single hand and spey swing tactics to the June /July hatch season featuring blizzard Caddis, strong Green/Brown Drakes and Yellow Mays, to the late summer/fall hatches of October Caddis, Baetis, Yellow Mayflies and terrestrials. The Evening Hatch offers day trips along with overnight trips featuring their very own, Black Bear Lodge where you can’t get any closer to the river. The lodge provides convenience and comfort and is a great place to kick back and tell stories. This is also a fantastic destination if you have a non-angling partner as they can arrange a scenic river float, birding, day hikes, winery tours, etc. 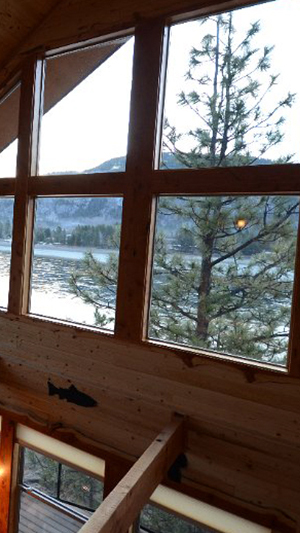 Located in Washington’s north eastern corner the lodge and fishery are about a 6.5 hour drive from Seattle and about a 2 hour drive from Spokane. The Lodge is literally riverside off a county rod located in the small and quaint town of Northport. The headwaters of the Klickitat River originate on the slopes of Mount Adams. The drainage is quite steep and in fact some of the lower portions of the river are not navigable due to class 5+ falls. The river tumbles into the Columbia approximately 120 miles from the salt and this can equate to some rather ‘hot’ summer run steelhead. The Klickitat River’s wild strain of steelhead are strong and unpredictable. Typically in the 8-12 pound class with fish as large as 18-20 pounds caught occasionally. The wild summer steelhead runs enter the river anywhere from June until November. In addition to the wild steelhead, the hatchery steelhead that inhabit the Klickitat are of the Skamania strain. Just under 2 hours from Portland and 4 hours from Seattle located on a plateau above Washington’s Klickitat River lies The Steelhead Ranch. 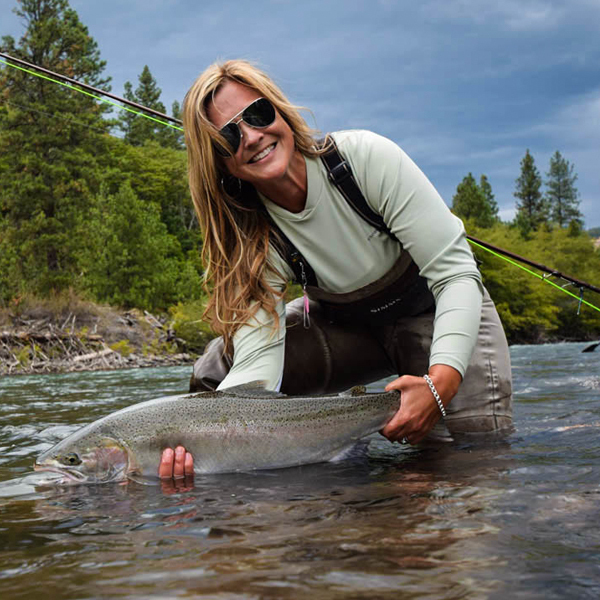 The Steelhead Ranch is at full operational level from August 15 until November 30, prior to that, it can be scheduled based on a trip by trip basis. This 40 acre ranch is available for 2-4 night/day fishing packages. 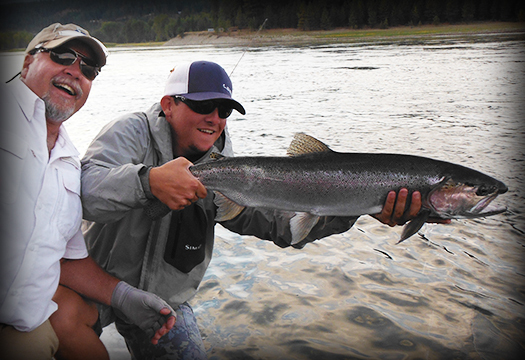 Enjoy fishing for summer run steelhead on the wild and scenic Klickitat River. The Steelhead Ranch features a beautiful double mountain view and ‘Bonanza style’ ranch like comfort where the nearest neighbor is 1/4 plus mile. Experience the beauty of the Pacific northwest and chase bright steelhead with the guides from Jack Mitchell’s, The Evening Hatch. 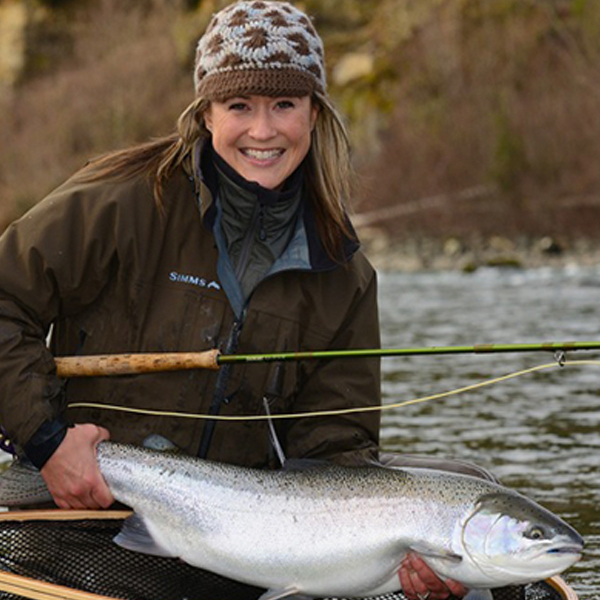 The Olympic Peninsula is some of the best fly fishing for these incredible sea going winter runs. There are a myriad of rivers on the Olympic Peninsula – The Hoh, Upper Queets, Upper Quinault, Clearwater, Humptulips, Wynoochee etc… These watersheds all originate from the foothills, glaciers and peaks of the Olympic Mountain range. The Evening Hatch is well versed in both single hand and double hand rod tactics for pursuing these hard fighting fish. They will cater to whatever technique suits you, and will work with you to create the perfect itinerary whether you want to fish a day or several in this amazing place. The Upper Wynoochee flows through private timber land and some of it is accessible for the general public. However, they have secured a lease on the initial 17 miles of the river . This particular river offers a substantial population of big hatchery brood stock and SOME wild fish that will test your gear and your skills. The best of the best on the ‘Nooch’ is January – February so book early to experience this prime time! Available March 1- April 15: Cost is $500 per person based on double occupancy – per day/night. This all inclusive package features lodging at our beautiful Quinault Lakeshore Cabin. Fishing can be a combination of private water and/or public water. *We always recommend two days fishing if at all possible as conditions can change quickly. We invite you to take a few moments and enjoy the video below by Todd Moen and learn more about the Olympic Peninsula and Jack Mitchell. An OVERNIGHT ITINERARY includes 1 night of lodging and then 1 day of fishing. You can combine as many days as you would like!